/ Comments Off on Is Your Garage Intruder-Proof? Despite advancements in garage door security, due to intricate passcodes and radio transmission-based remote openers, as well as updated construction, your home may still be vulnerable to intrusion. Criminals frequently case homes with garage doors, looking for weak spots where entry may be possible. Not only do garage doors provide an easy access point, but they provide shelter for criminals who do gain access. 1. “Do I leave my garage remote in my vehicle?” If so, you are putting your home in danger. 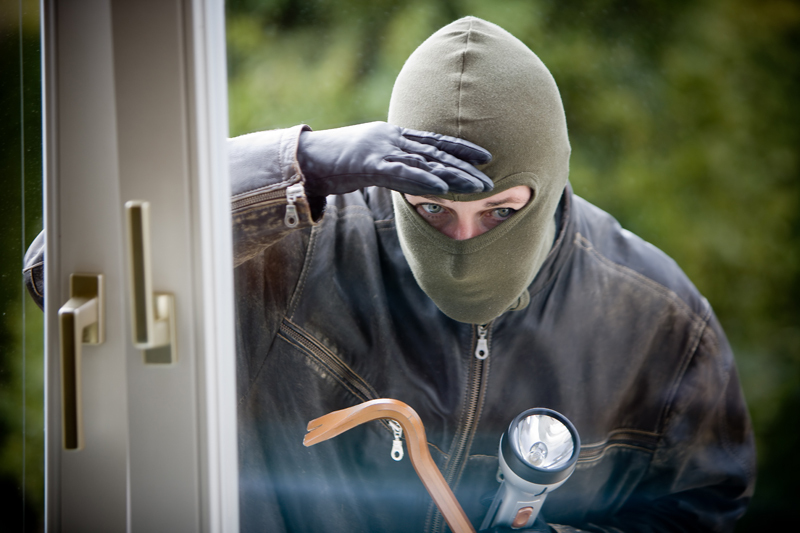 A car thief could easily break in, steal your remote, and gain access to both your garage and other vehicles within. 2. “Have I secured my garage door emergency release?” If not, you can learn a simple method of adding zip ties to your emergency release from Imminent Threat Solutions. 3. “Do I have a wide-angle peephole installed in the door between my house and garage?” Doing so will allow you to see inside and observe any intruder activity if you hear a noise or suspect entry, rather than making your home and family vulnerable by opening the door. 4. “Do I padlock my throw latch when I’m out of town?” Garages without manual locks can be locked by using a c-clamp to tighten down each side to “lock” the door down. 5. “Do I frequently maintain the mechanical parts on my roll up garage door?” If not, your best bet for a safe home is to get into the habit of doing so. Corrosion and old, faulty parts may cause your garage door to weaken, making it vulnerable to intrusion. If your garage door is due for servicing, call Ponderosa today! 6. “Is my garage door strong enough?” Not all garage doors are made from solid-core wood or reinforced steel, but the safest ones are. If your door could easily be cut through, it may be time to invest in a new one altogether. Securing your garage door is vital to maintaining the safety of your home and as easy as asking yourself a few simple, vital questions. Want to find out further information? Contact Ponderosa today for expert service and repairs.